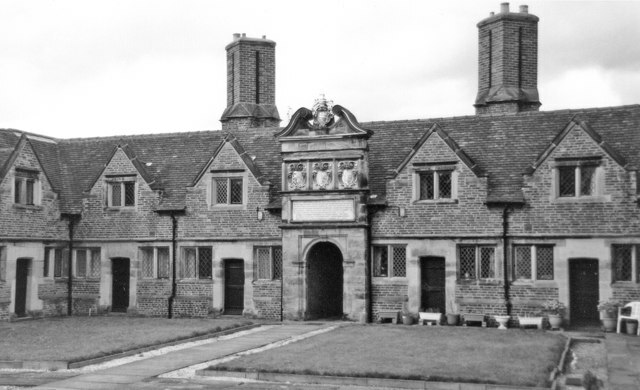 The Sir John Port Almshouses, endowed in the 16th century by the founder of Repton School and rebuilt in 1681. "Of this date only the central frontispiece gives evidence by its scrolly pediment. The rest of the large composition might well be considered much older" (Nikolaus Pevsner). The photo dates from the days when I went out with two cameras, one loaded with FP4 black-and-white film.